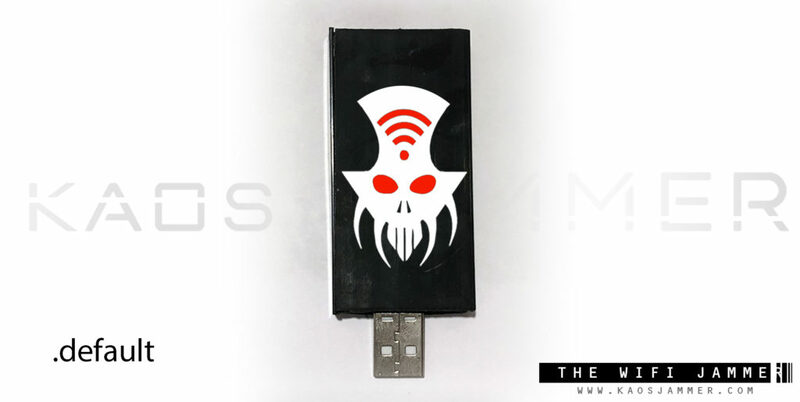 Kaos Jammer Wifi is an USB Wifi Jammer, more precisely is a Usb WIFI Deauthenticator. 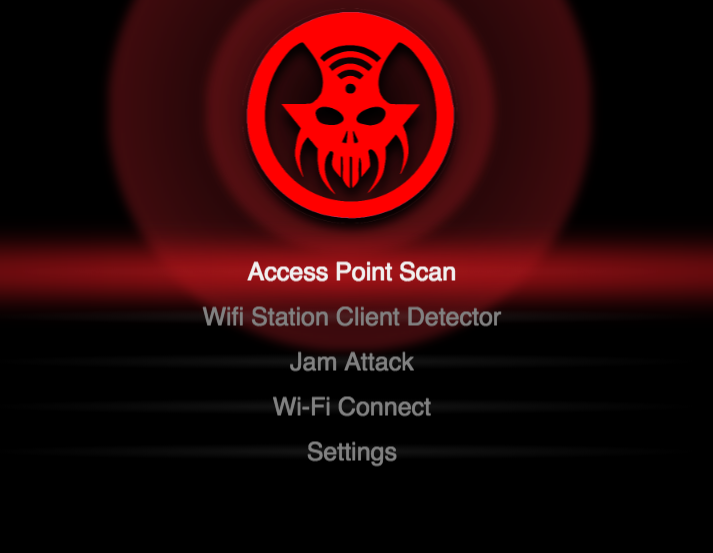 It allows to scan and disconnect users from a certain WIFI AP (Access Point). 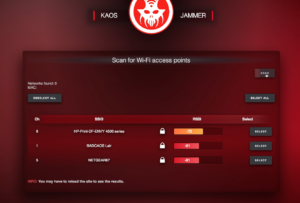 With KAOS JAMMER you will be able to search for a certain User or device connected to a specific WIFI spot and send deautentication messages (FRAMES) to the router to be able to disconnect the user or multiple users. 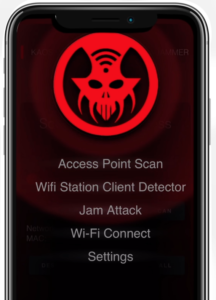 KAOS JAMMER has a unique and custom INTERFACE. A fierce red embraces the darkness. 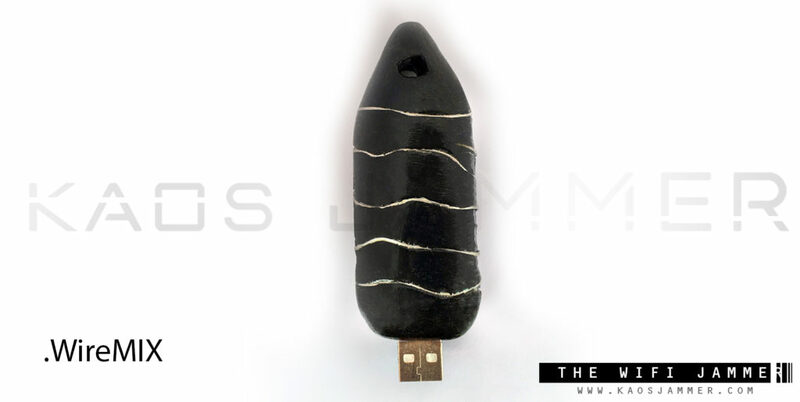 Style Design and Art are mixed in a single user experience. 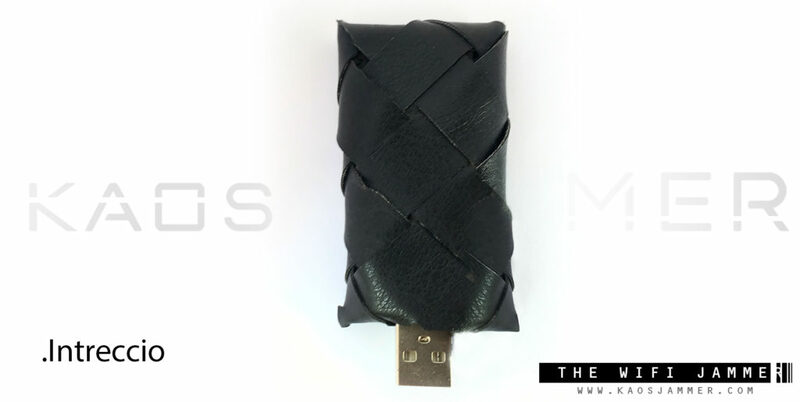 Expression of our Passion and attention to detail. 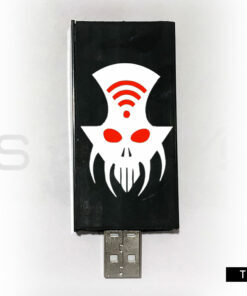 Pulsing force that forge the KAOS JAMMER WIFI. 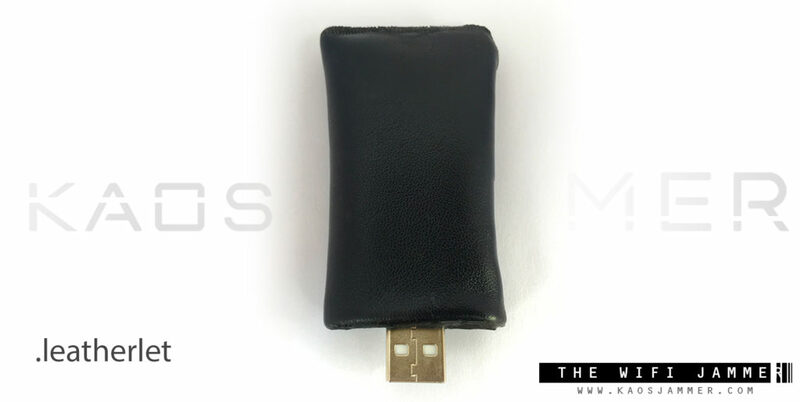 Pristine and luxurious design, but not ephemeral. 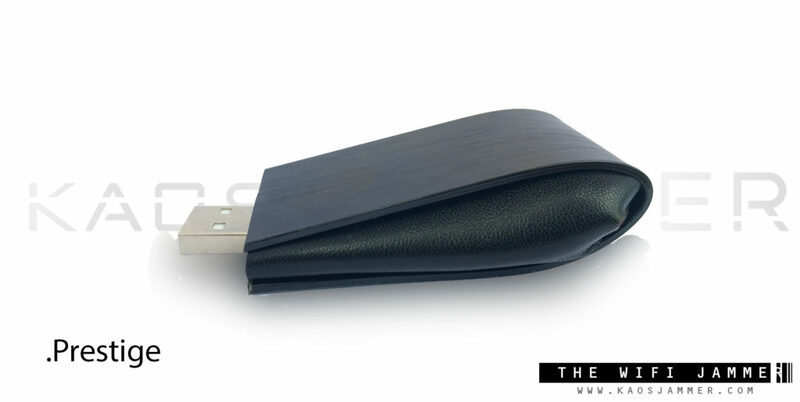 Black polished Aluminum embrace a Strong Dark Leather. 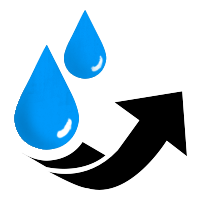 Melted to create, something never seen before. 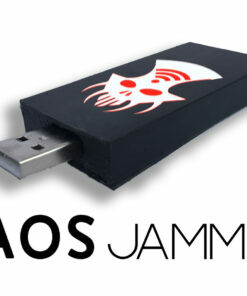 KAOS JAMMER is created to be mobile. 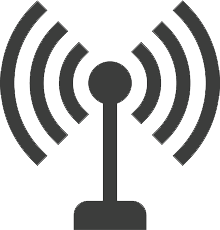 The UI is created with an “on the go” VISION. 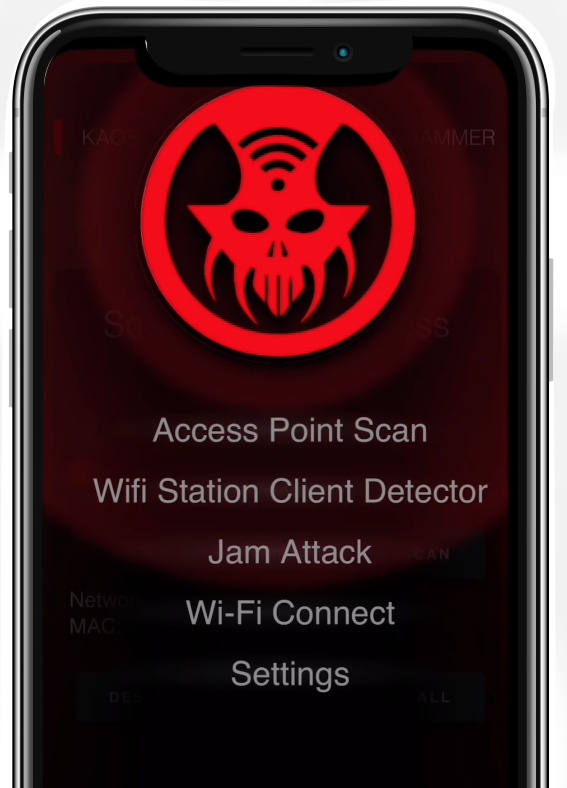 We made KAOS JAMMER WIFI ready for the latest IPhones in mind, and keep the compatibility with older phones. 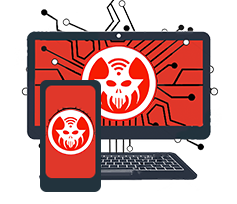 The interface is optimized for the IPhone X and the leatest Android devices. 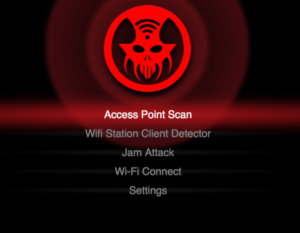 APP Included with the device. 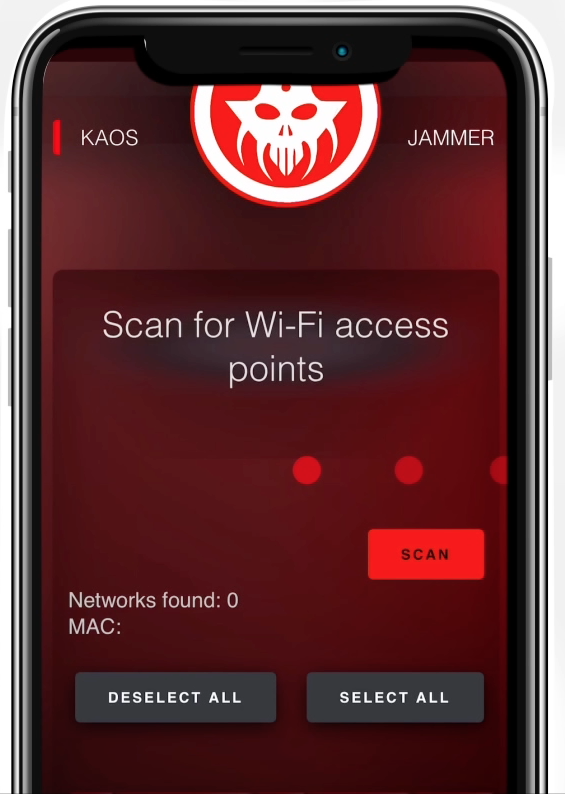 With KAOS JAMMER APP, you’ll be able to remote control KAOS JAMMER WIFI even if you are outside of your range through KAOS WIFI-CONNECT you can access the jammer from the internet. 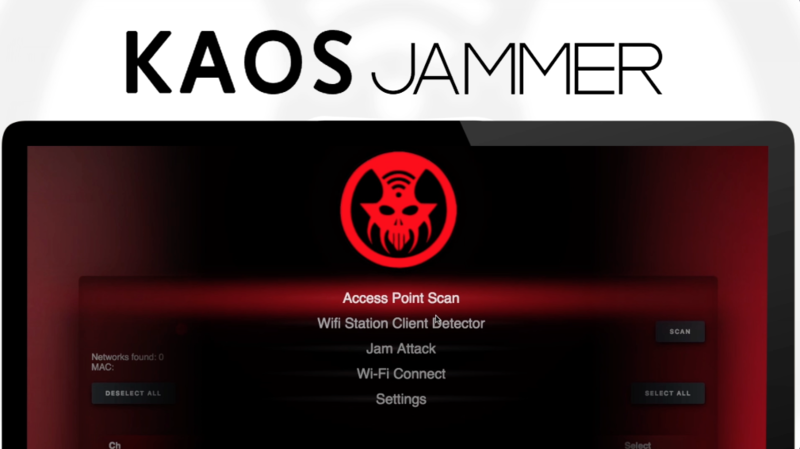 Kaos JAMMER App allows you to easily access KAOS JAMMER in the fastest way possible. 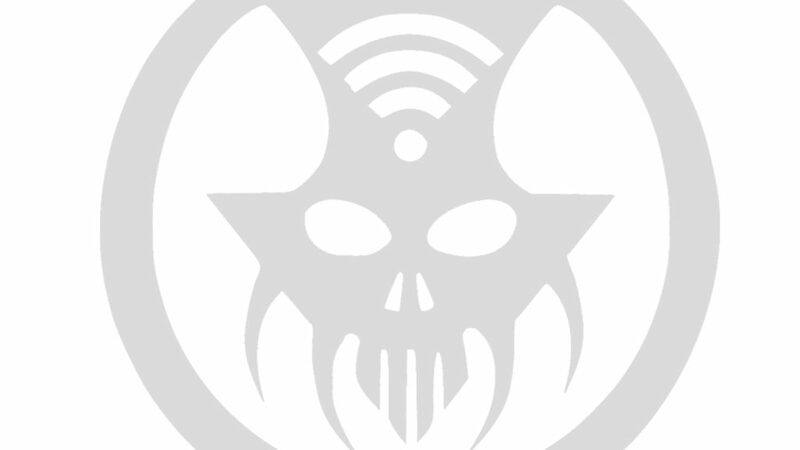 Thanks to the built in WebApp. 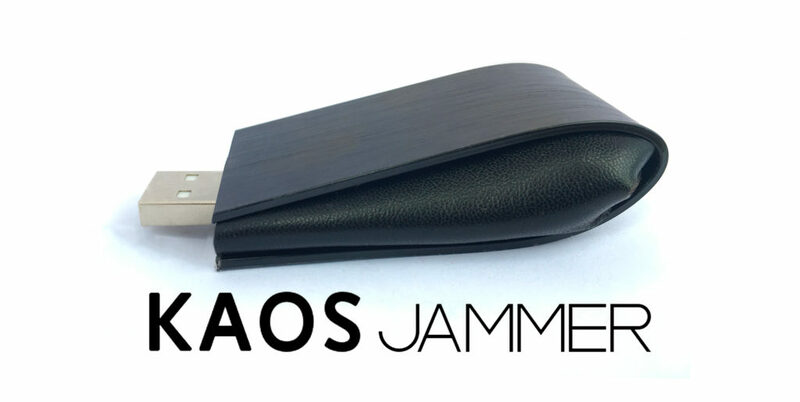 Kaos Jammer has a Unique Feature that allows your KAOS JAMMER to be remote controlled through the internet. 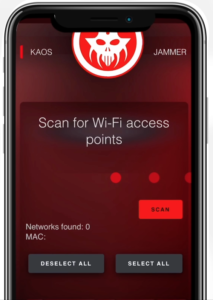 Just configure the device to a Wifi network or a tethered Phone or any source of internet connection, and Kaos Jammer will be accessible from the net from any Computer, Tablet, phone.. even console. 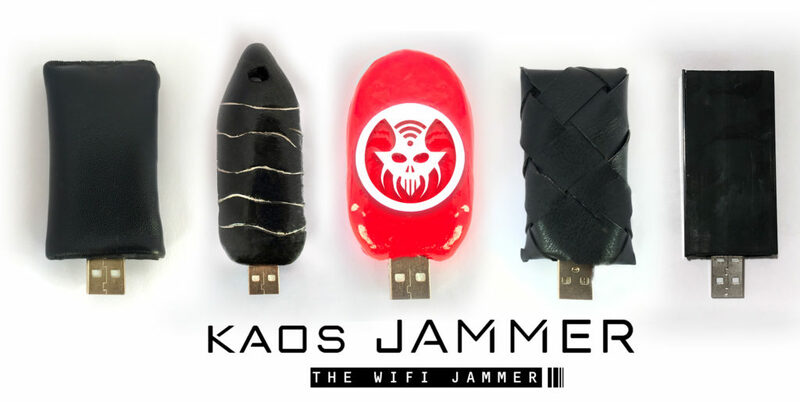 ONLY KAOS JAMMER COMES WITH WIFI -CONNECT. 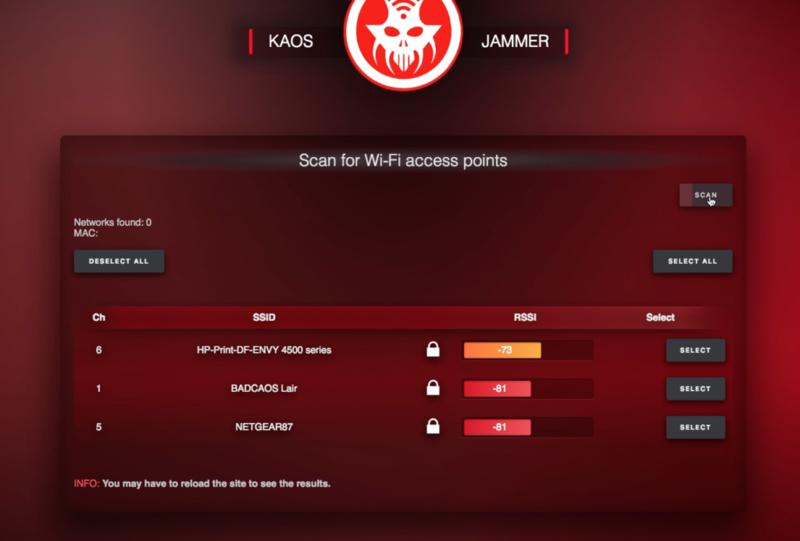 DISCLAMER: KAOS JAMMER WIFI is a serious product, It can really disrupt internet connection. 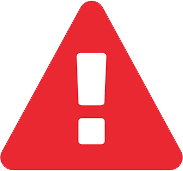 You are responsible for any misuse. 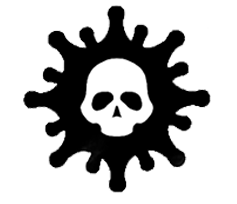 We take NO responsibility. 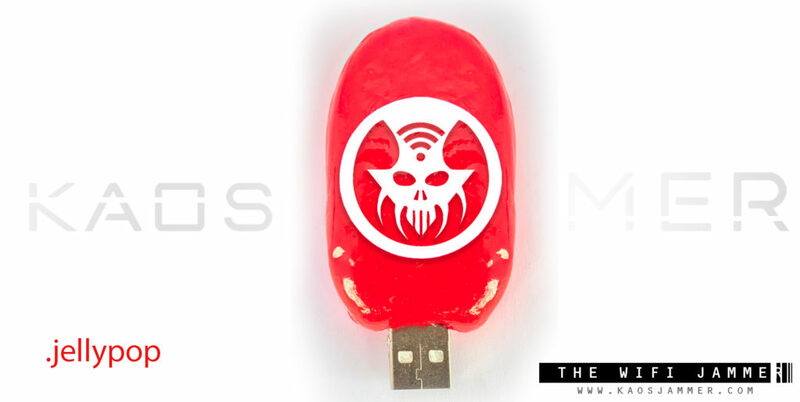 We sell this product as a security testing device. Read more..